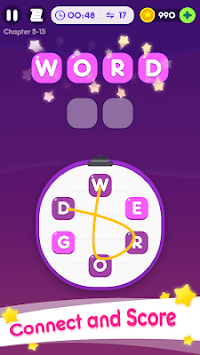 Word Go is a brain teasing word connecting game! By connecting letters to form a word, you can keep your mind sharp. With beautiful and lively music and enjoyable fun, start your word connect now! 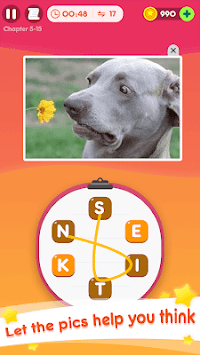 • Exercise your brain: simply connect letters to form words and keep your mind sharp. • Challenge and fun: enjoy the delicately designed interface and keep a good mood challenging yourself. • Find answers: abundant levels for you to challenge, it won’t be easy and you won’t get bored even if you have unlimited tries. 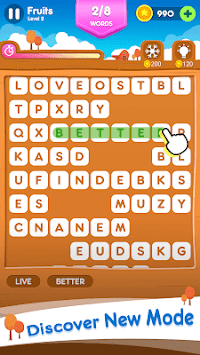 Word Go is a classic word hunt game for those who love word puzzle games to enjoy the fun of both word search and cross word puzzle games. Have fun playing Word Go now!